I got the idea to do this a long time ago but my life has been so full with finishing up my new ebook and doing all my wife, mom, and homeschool stuff that I am just now announcing this. It’s an online discussion club to talk about great marriages as depicted in movies! All dates and times are tentative and subject to change. If you join the discussion you will get emails on changes in the times. Meeting time will be 5 to 6:30 PM Monday afternoon Utah time/4 to 5:30 PM AZ time once a month. I know this is an odd time, with FHE (Family Home Evening) usually on Monday. It is to accommodate a friend who lives in Japan. It is Tuesday morning for her, and that is a good time for her to squeeze into her college study schedule. It is only once a month. If you plan ahead you can have a crockpot dinner going that morning, prime your kids and hubby to get all FHE parts prepared, pop in a movie for them to watch while you then relax with us for a discussion, all before you head out into the eye of the storm of normal family life. Comment below if you want to join the discussion so I can send you a link to join the video classroom if I can tell you are a real sincere female adult who wants to discuss being a great wife. Now, on to the movies…. I picked these movies because they all depict marriages. The movies can be found on Amazon for purchase or rent, or often at your local public library as DVDs. A few are free on YouTube, like the one about the Osmonds below, and some are on YouTube to rent. 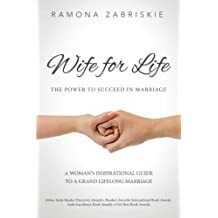 We will discuss the marriage featured in each movie and decide if it is a “Grand Marriage” as described by Ramona Zabriskie in her book Wife for Life. You can buy the book here. Don’t worry if you don’t have the book yet, or haven’t read it yet, just get it when you can. In the meantime you can go to Ramona’s website and sign up for her free webinars to get a glimpse of the principles she teaches. So please get the book Wife for Life and read it as soon as you can. It will help you know what principles to catch and ponder when you watch the movies. When we see the principles in action we are more likely to apply them. Then come to the discussion with at least one question or comment based on one of the principles from the Wife for Life book like the 10 As of Attraction. If you don’t have the book yet you can still come and discuss, because you can watch Ramona’s webinar and get the 10 A’s Laws of Attraction. The first movie we will discuss is this made for TV movie above about the Osmonds from the early ’80s. See interesting footnote below about this movie after the * at the very bottom of this post. Monday, June 18: John and Abigail Adams in the John Adams HBO miniseries. This whole series is like 5 hours, you will have to have a marathon day of watching or watch it for several date nights in a row. It’s worth it though! John and Abigail were such a great couple. She really helped refine and polish his weaknesses. He would not have been the man he was without her, that’s for sure! 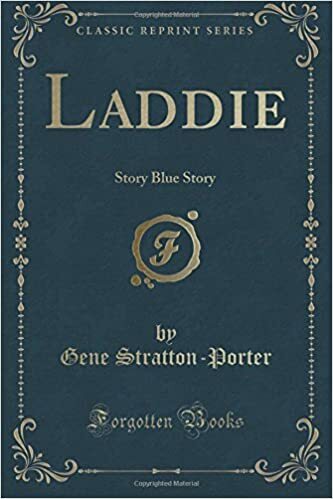 Monday, July 30: The parents of Gene Stratton Porter as featured in Laddie. Watch here, Read the book for extra joy! It is free here. Monday, August 27: Peter and Catherine Marshall as shown in A Man Called Peter. Read book here. Read the book for extra joy! It has a sequel too, called Belles on Their Toes. Maybe we will discuss it next year! Monday, Oct 15: Washington and Emily Roebling, the masterminds behind the Brooklyn Bridge. Watch or read something about them and come prepared to discuss. The movie Roebling’s Bridge is hard to find, watch if you can. Dec 10: Charles Dickens’ Marriage. You can see a glimpse of it in The Man Who Invented Christmas, the book is here. Happy movie watching, reading, discussing, and wifing! Watch these movies for your date night at home with your husband. Then come discuss with us! I already have ideas for the following year, like George and Maria Von Trapp, Gordon and Marjorie Hinckley, and Paul and Julia Child. *My husband is an extra in the Osmond movie, for reals! So he got to share the dance floor in a scene with Marie at the old Apollo Dance Hall in American Fork Utah. I could pick him out, he has great dance form! (He was on the world championship BYU Ballroom Dance team back in his youthful days.) In this movie, Marie plays the role of her mother Olive being courted by her future husband George, and then they get married and have kids and get motivated by a dream. In the scene my husband is in, George and Olive go dancing while courting. Then my hubby was in another scene washing windows at the old Brigham Young Academy building (now the Provo City Library), which was supposed to be a building on Hill Air Force Base. I remember hearing about this movie on TV but was it was the same night as a church activity so I missed it and felt this huge hole in my life. I finally watched it on YouTube, so now balance is restored in the universe, haha! I no longer feel that I missed out! I’d love to try to squeeze this in and participate- it sounds great!